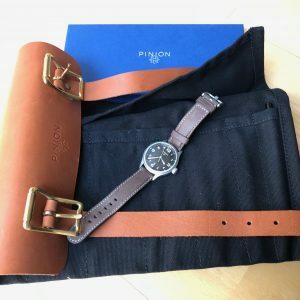 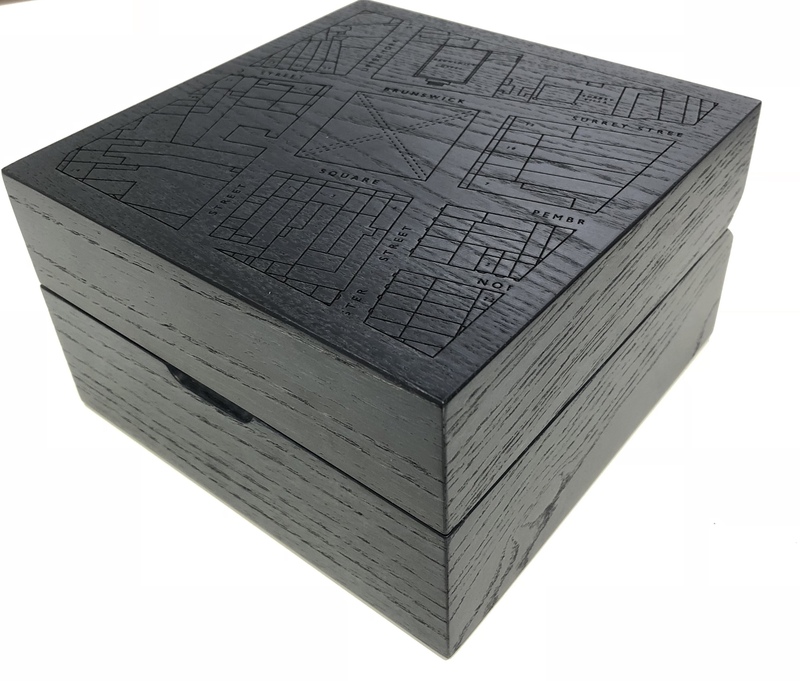 For those of you not on the Pinion mailing list I thought I should highlight the latest news from one of my favourite brands. The announcement of the latest version of the Atom. 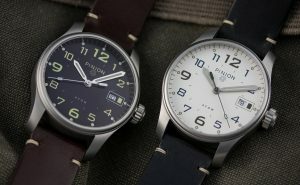 I only know what I have read on the press releases. 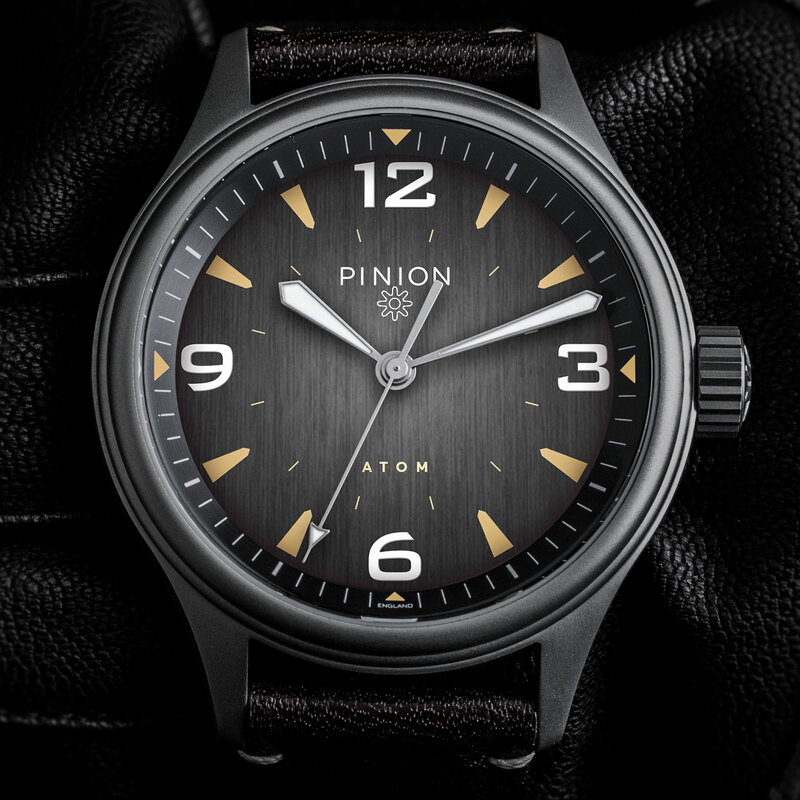 The new watch is the result of a Pinion asking enthusiasts and collectors what they would like to see in a new Atom. 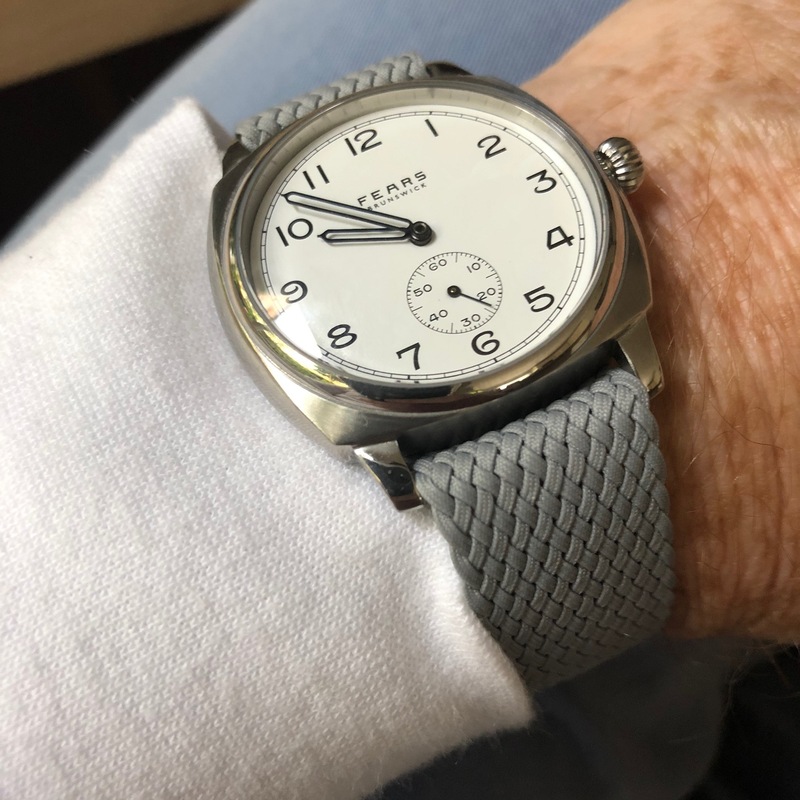 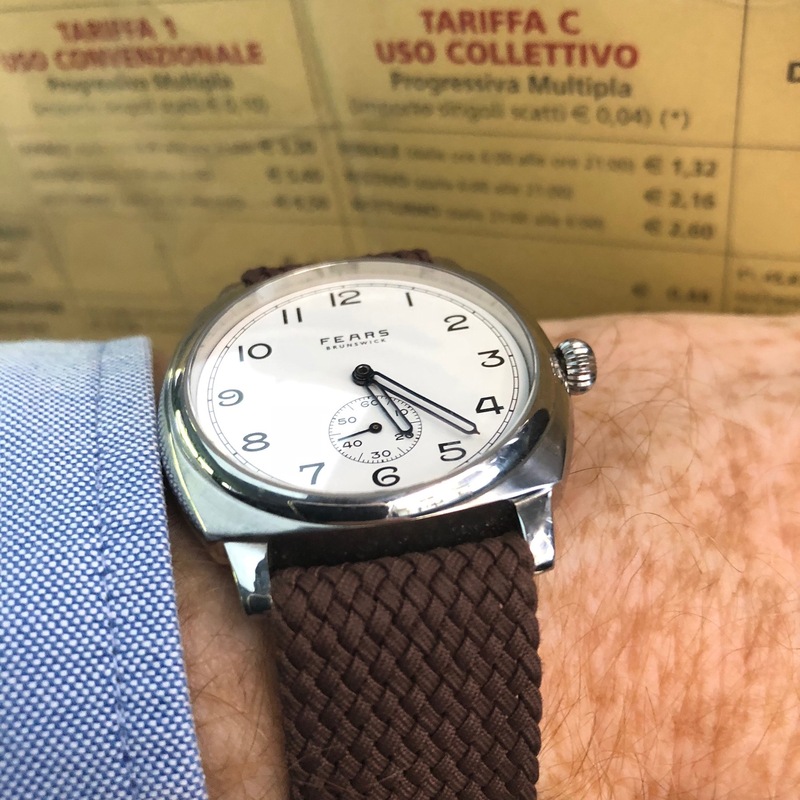 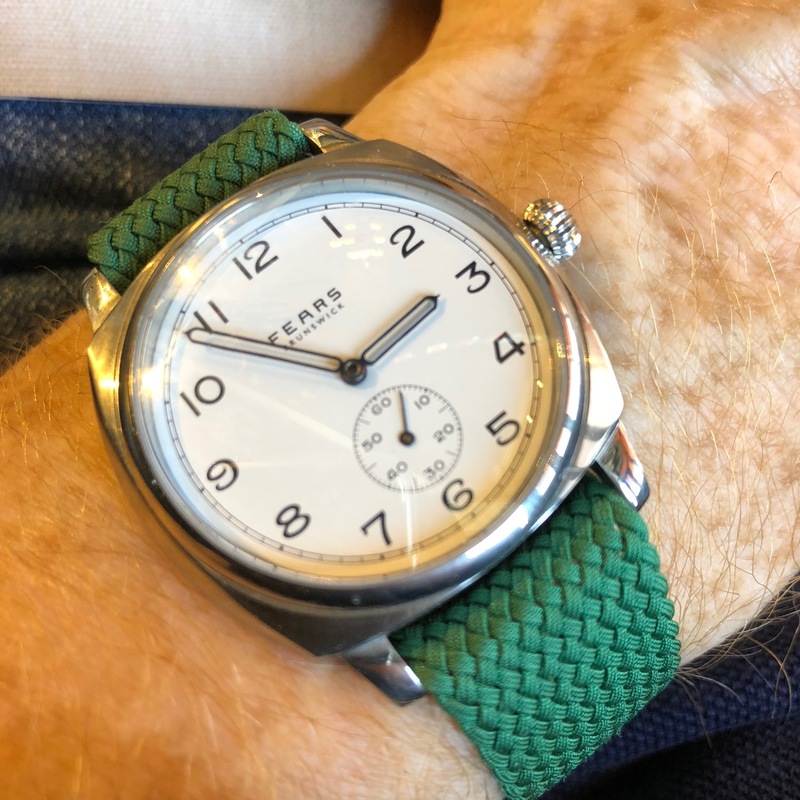 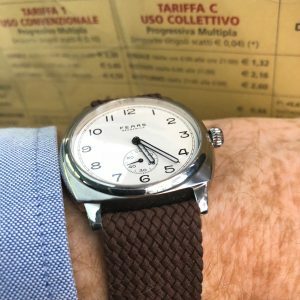 As a result I am pleased to see that Piers Berry, the Pinion founder and designer, has gone for a smaller 39mm case size and, despite the cost advantage offered by a Japanese movement, chosen a Swiss ETA 2824-2 automatic movement. 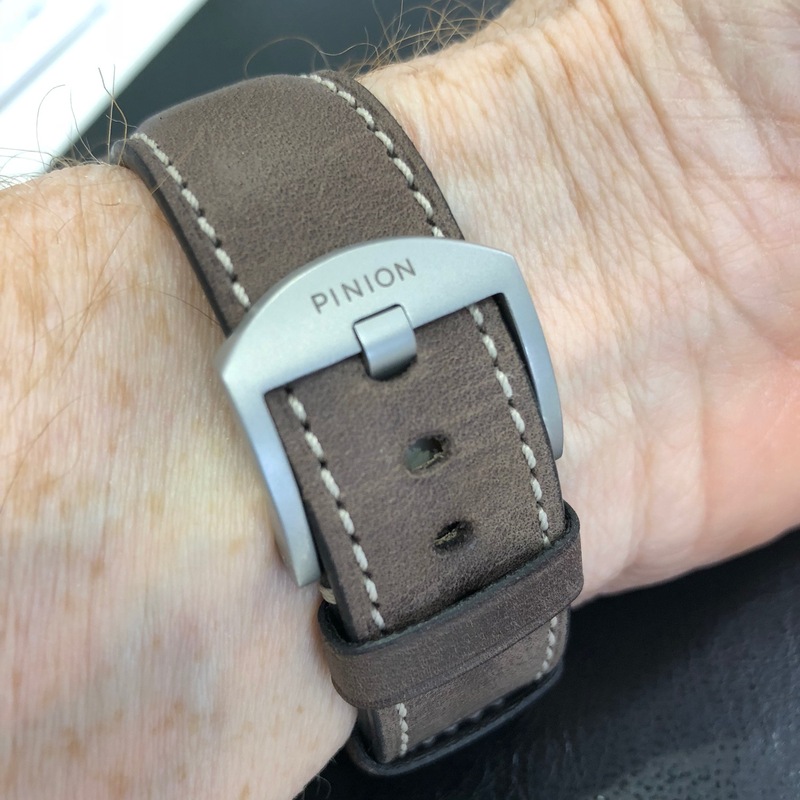 He has come up with an individual looking modern tool watch, that clearly shows its Pinion DNA. 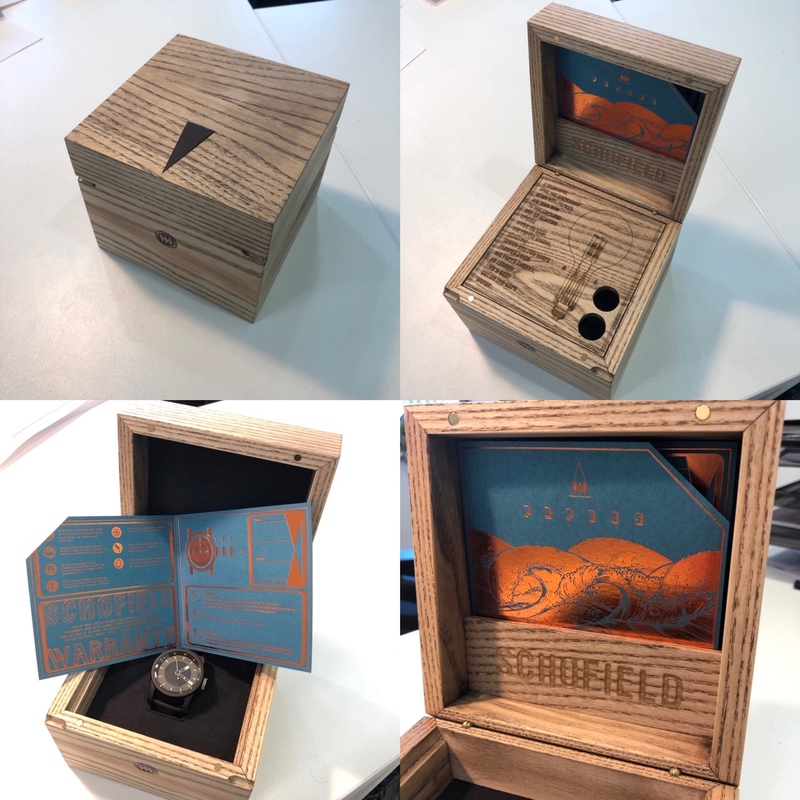 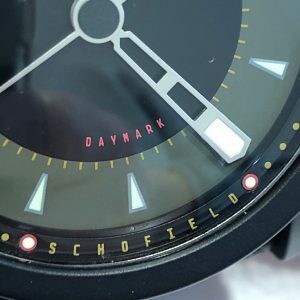 The watches will be produced in batches of 50 the first being available in February 2019 for £1050. 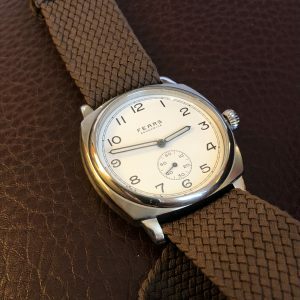 The price will then increase to £1150. Personally, I am looking forward very much to seeing one of these watches in the steel. 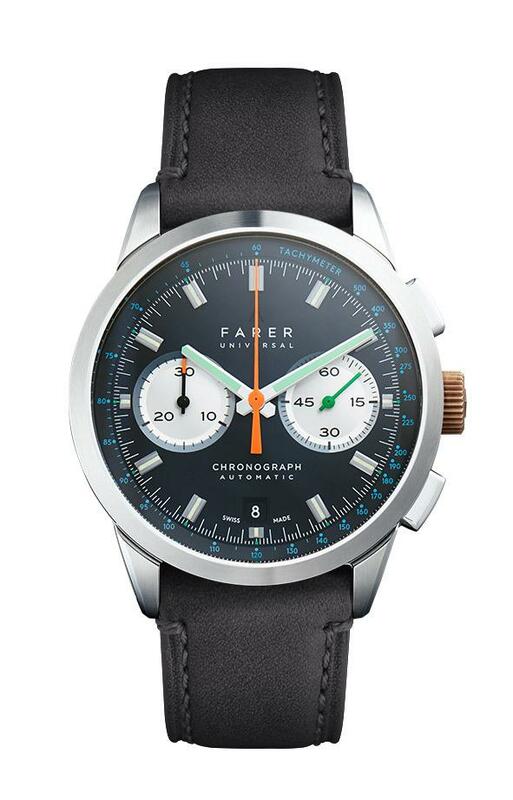 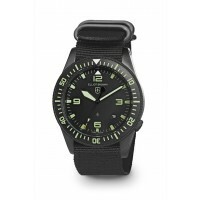 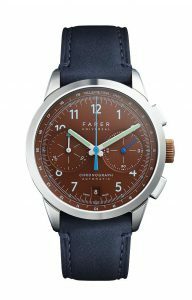 Many watch lover’s have a special attraction to military watches. I have posted recently about the “Dirty Dozen” and 6BB watches, both past and revived. 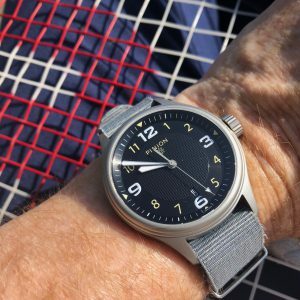 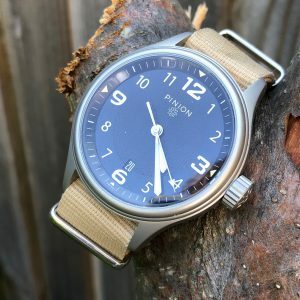 Elliot Brown are now offering something slightly different a new watch designed together with the British military, not an old design refreshed or relaunched. 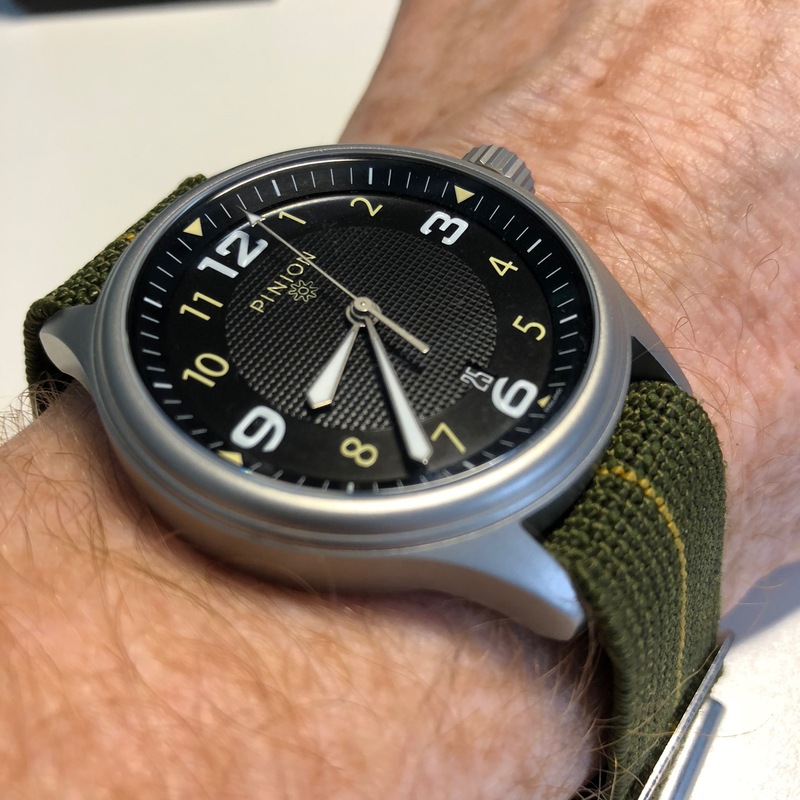 The Brief: capable of prolongued exposure to water and dust, durable, shock resistant, clear visibility day or night, unidirectional timing bezel operable with a gloved hand, easy strap changes and comfortable strapping options that don’t break. 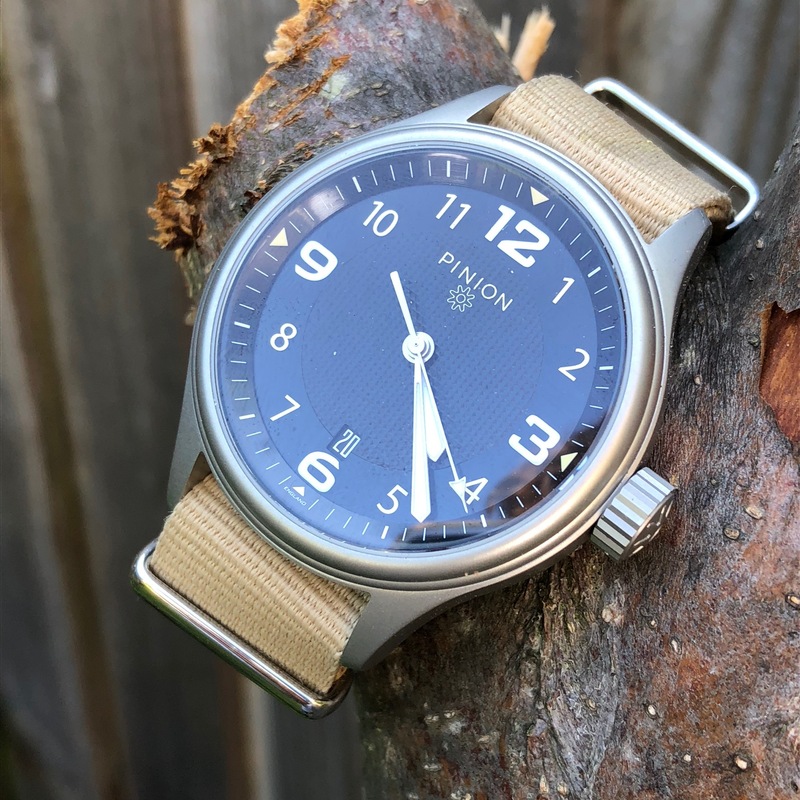 As a piece of equipment issued by the stores, the Holton has been assigned the NATO stock number 6645-99-303-0677: Time-measuring instruments; United Kingdom, and features the ‘Crow’s foot/Pusser’s Arrow/Broad Arrow‘ on the dial in subdued grey. The watch will also be available for non-military wrists from £425. I have not seen a watch in the metal, but Elliot Brown do have a good reputation. 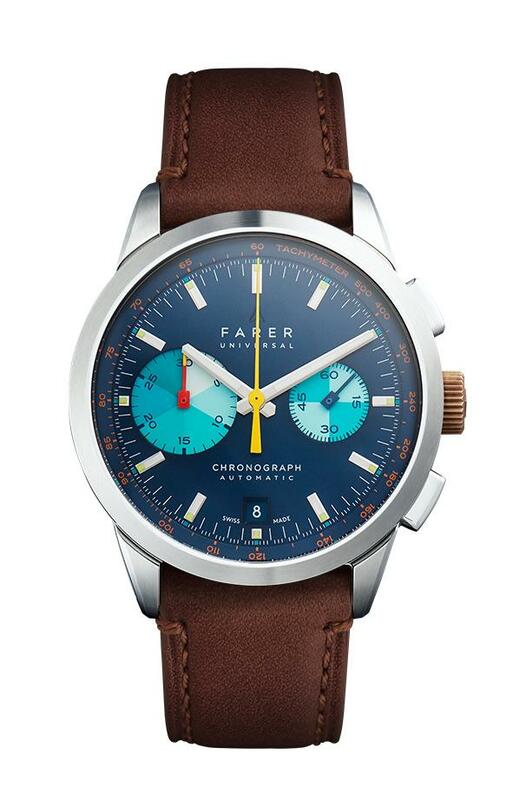 I hope to get my hands on one soon. In the meantime you can get more detailed from the Elliot Brown website. 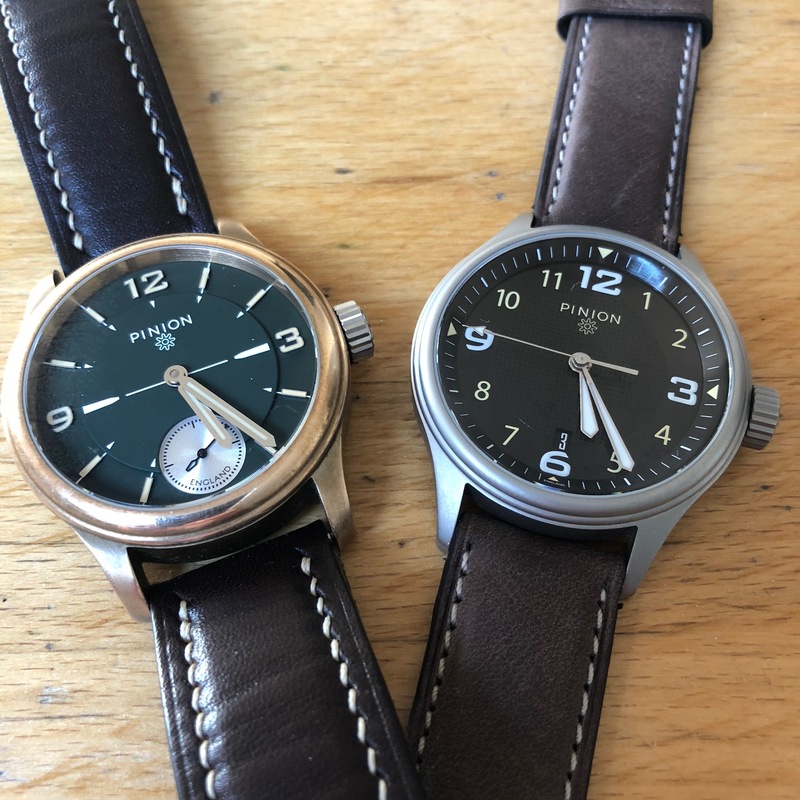 Sorry for the blatant lift from the Pinion website but I wanted to post the availability of Pinion’s latest watch the “TT – Twin Time” as soon as possible. 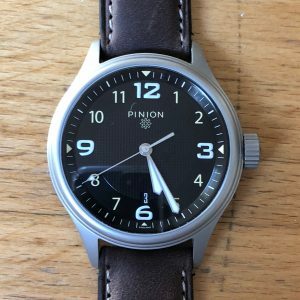 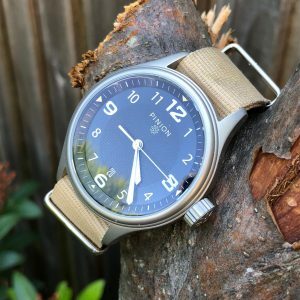 Pinion have managed to produce a great looking titanium watch, a material that I am usually not too keen on for some unknown reason. 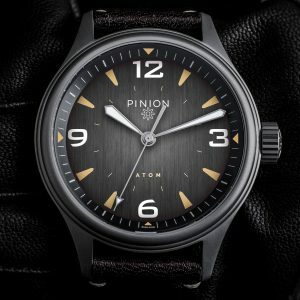 The Pinion TT (Two Time-zones) is a 42mm titanium GMT watch with dual time-zone functionality and powered by a Swiss automatic movement. The Pinion TT is available in two dial variants: Maroon and Anthracite, with each titanium GMT watch feature a contrasting colour scheme and central seconds hand. 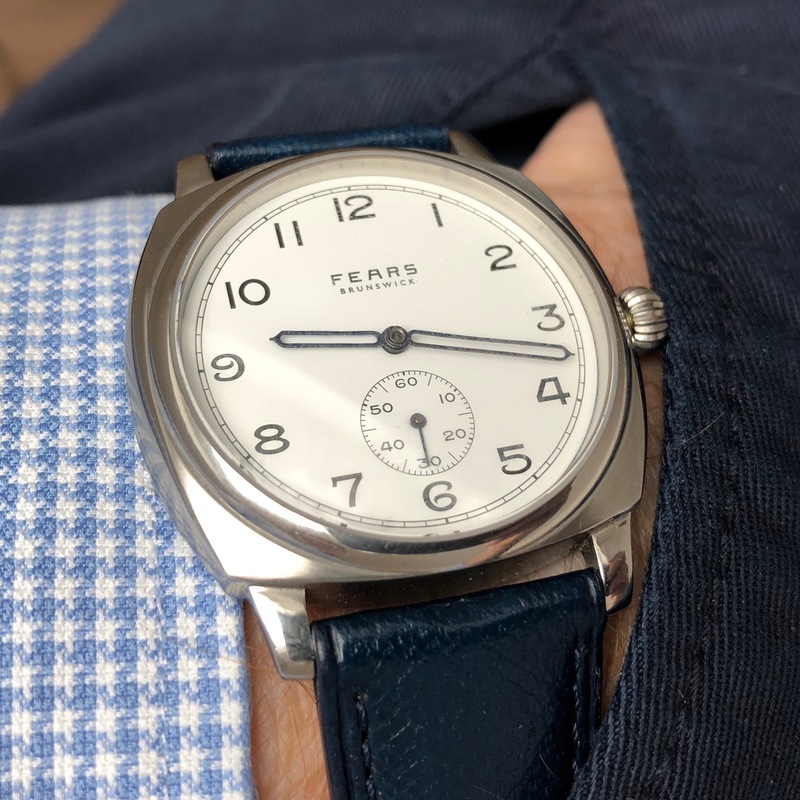 On both models, a second time-zone is indicated by a beau-blue coloured GMT hand that can be configured to point at the 24-hour numerals on the dial. The 42mm case is manufactured from titanium which makes the watch around 25% lighter than its steel equivalent ( Axis II Steel ) yet titanium is stronger than steel and features a distinctive grey hue colouring in a brushed/satin finish. 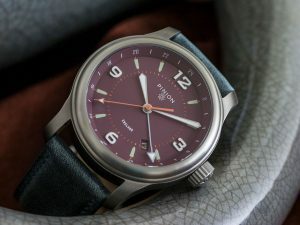 As with previous watches in the Pinion collection, such as the Pure and R-1969, the Pinion TT watch features applied typographic numerals that are raised above the base of the dial. Because of this, the design of the 24 hour GMT hand features a curve to allow it to pass these numerals. At the heart of the titanium gmt watch is a Swiss made automatic movement, ETA 2893-2 that provides reliable and accurate timekeeping. 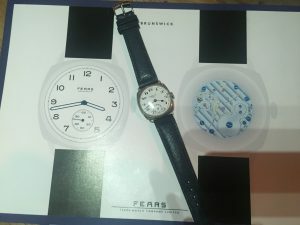 The decorated movement and Pinion beau-blue winding rotor are visible through the glass exhibition case back on the reverse. 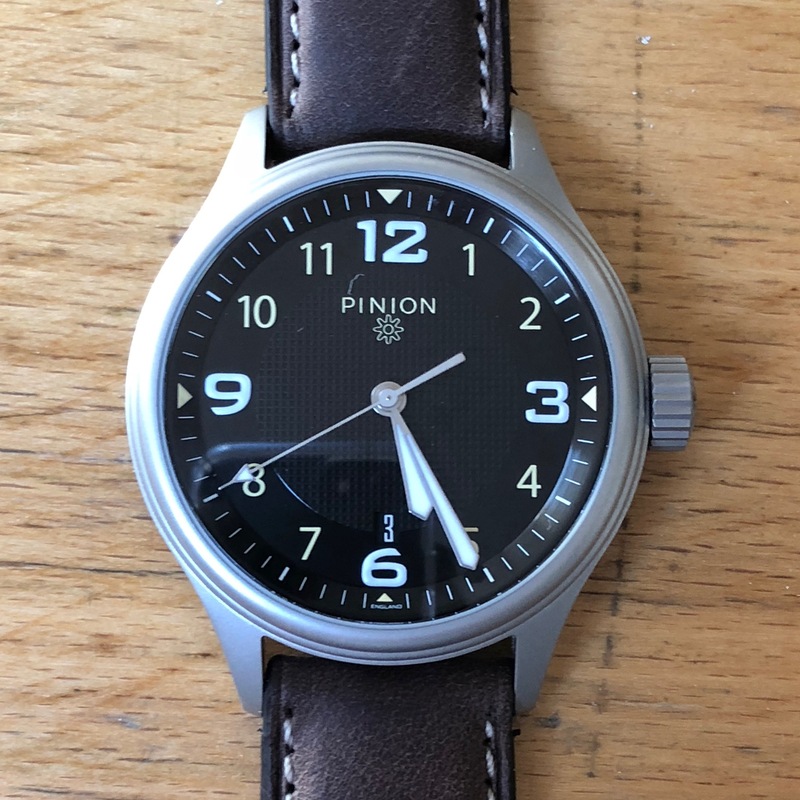 As with all Pinion watches, the TT is water resistant to 100 metres depth; it is finished, assembled and tested by experienced watchmakers in England. 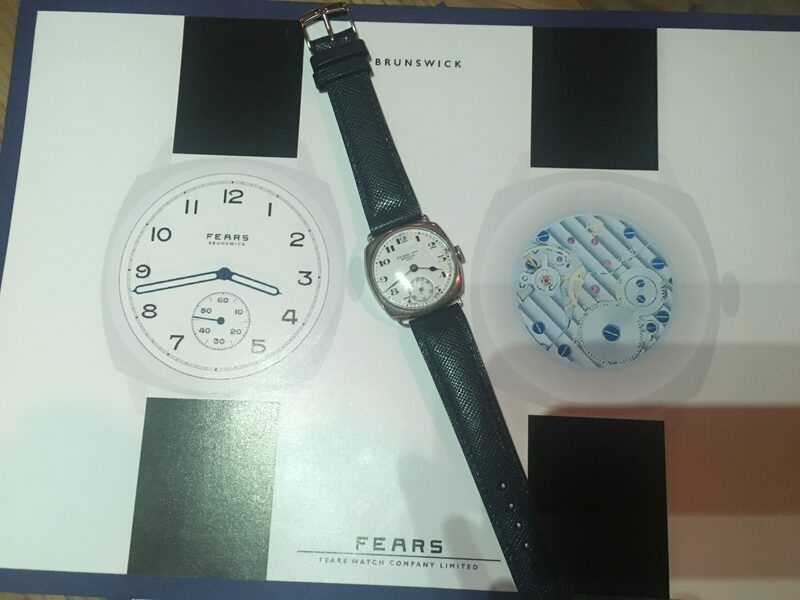 You might have noticed from my instagram feed that I am currently reviewing the Fears Brunswick. 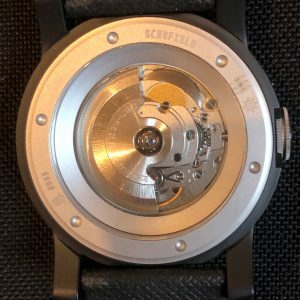 However before I get round to writing my full review I feel obliged to highlight this really nice interview with Nicholas Bowman-Scargill, the re-founder of Fears watches on the latest Time4aPint podcast. In my waiting for the next review I have posted very little recently. So just to keep things rolling along a little I thought I should give a quick update on the latest news I have picked up. 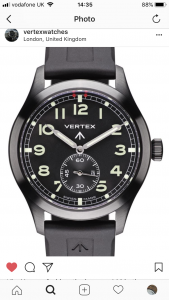 The biggest story as far as I am concerned is the announcement on Friday of a second watch from the revived Vertex brand, the M100B. 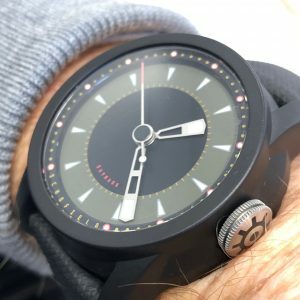 I guess the “B” standing for black as this watch is essentially the same watch as the original M100 but with a black case and a rubber strap. 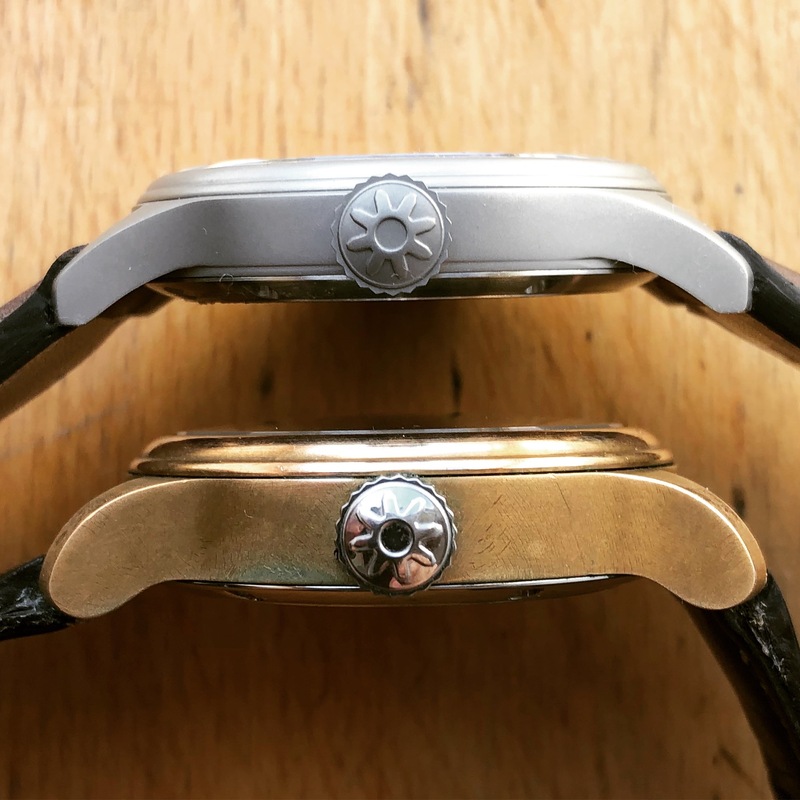 The only picture I could find at the moment is this “screen shot” from Instagram. 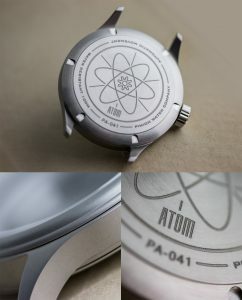 This watch will be limited to 150 pieces, as yet I am not sure of the requirements for getting hold of one. I hope to find out more once the official press release is published. 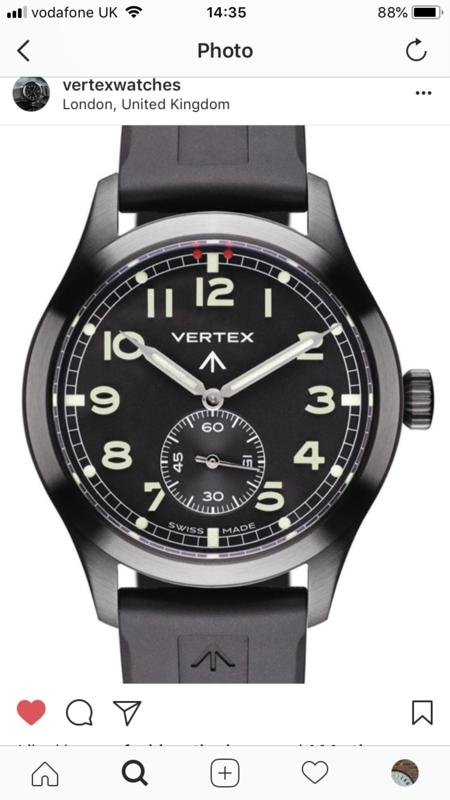 This launch co-incides with the first anniversary of the re-launched Vertex brand. 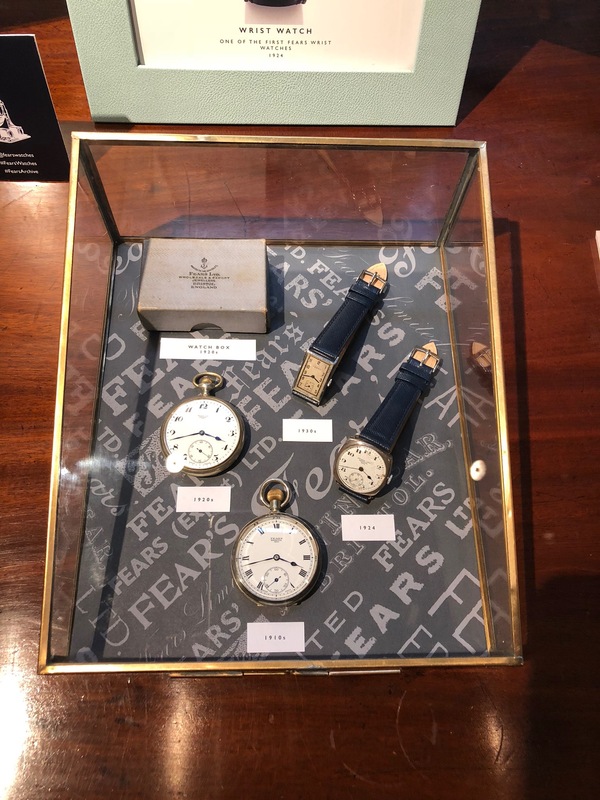 The other newsworthy event for me was the Pop- Up Fears Museum evening held at Picketts in Mayfair. 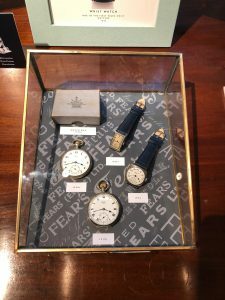 This was a very enjoyable evening to which Nicholas Bowman-Scargill bought, as well his current range, also some examples of past Fears watches. 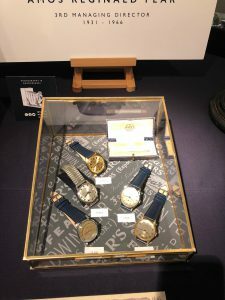 In the picture above you can see on the far right the watch that inspired the new Brunswick, which by all accounts is selling very well. When I last met Nicholas he was very proud of the gold watch at the top of this collection – an inspiration for a future model ?